What Is The Best Kids Drum Set? Ludwig has designed this excellent junior drum set with the help of drumming legend Ahmir Khalib “Questlove” Thompson, and it’s an amazing-priced and premium quality sounding set of drums for kids! Questlove aimed to create the perfect mini drum set, after seeing a lack of quality junior kits on the market. Together, Questlove and Ludwig made this fabulous package that includes everything needed to begin having fun right away! The wood drum shells sound rich and warm, and this small drum set features the best sounding cymbals I have heard on any set of drums for kids. The hardware is durable and well constructed, and will hold up to many years of enjoyable playing. 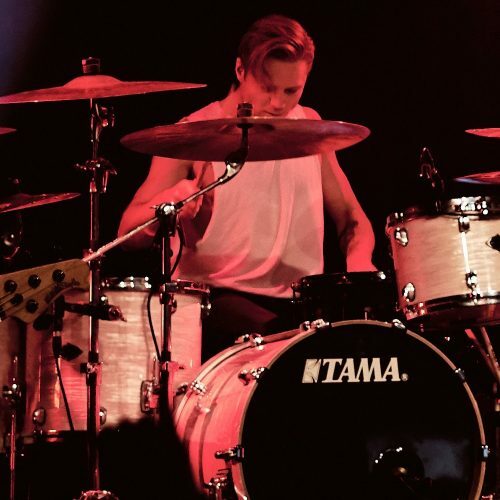 Ludwig is a legendary name in drums. After seeing and hearing this junior drum set you will instantly recognize that the kit has been designed with a lot of care and attention to detail! This Ludwig Questlove pocket kit will provide any child with the best possible start into drumming, and all at an amazing price. It is in my opinion a must have junior drum set for children aged 4-10, and it wins my vote as the best kids drum set on the market! This Gammon 5-Piece drum kit is the best value complete junior drum set on the market. This drum set also includes absolutely everything needed to begin playing right away! This mini drum set features genuine wood shells as well as sturdy and well built metal hardware to ensure that this drum set provides countless hours of fun for kids. Although children might not have the most discerning musical ears, when tuned up properly this kids drum kit sound surprisingly good! This drum set includes drums, cymbals, stands, sticks, stool, pedal and hardware – all at an incredible price. The quality of this junior drum set for its price truly makes it excellent value for money. It is the best drum set for kids if you are on a budget. This kids drum set makes the perfect gift for children and will allow them to explore their creativity and learn new skills, but most importantly have lots of fun! This drum set is another premium junior kit by Ludwig, featuring high quality components throughout. It’s a 5-piece kit that offers a full scale playing experience for kids. This is the most premium-priced kids drum set on the list, but the quality of the drums and hardware, and overall playability of this set makes it an excellent choice! These drums make the perfect toddler drum set that will last all the way up until the age of 8. I would recommend this is the ideal sized drum set for a 5 year old, but it will make for enjoyable playing for a variety of ages of little ones! This small drum set is compact yet sounds great, and is super sturdy thanks to the high quality hardware included with the package. The cymbal stands, tom mounts, drum stool, bass drum pedal and snare stand are the best to feature on any kids drum set, and make the drums really easy and fun to play! This children’s drum set is definitely a more expensive option, but on top of its great sounds and looks, it is built to last too. If you want to ensure your child gets the perfect start into drumming, this Ludwig Junior drum set will get your little ones playing and having fun like the greats in no time! Up next for review we have the Mendini Junior Drum Set that is a 5-piece drum set for kids, including everything a child needs to begin playing drums. This kids drum kit makes the perfect toddler set and is also one of the best-priced children’s drum sets on the market! This all-inclusive child’s drum set features well-made components. It’s fully functional – designed to offer years of playing and fun! Drumming provides the framework for children to learn a host of wonderful new skills as well as encouraging greater confidence and learning essential social skills. This kids drum set will provide all the tools for your child to learn and grow as well as explore their own creativity, whilst having huge amounts of fun in the process! When tuned up correctly these drums don’t sound half bad, and the hardware is durable and robust. The cymbals are not excellent, but they make do. Plus, kids are more interested in having fun bashing the drums to notice! This Mendini 5-piece set of drums for kids make an excellent value gift that is ready to rock straight out of the box! All of the components carry a 1-year guarantee so you can be sure that everything included will hold up to lots of playing! Up next for review we have this junior drum set manufactured by ddrum. This drum set is priced towards the premium end, but it is a well-crafted and highly functional kids drum set. This junior drum set contains everything required for your kids to begin playing drums right away, providing the tools to explore their untapped creativity! I’m pleasantly surprised by the sounds of these drums for a kids drum set. The snare drum is focused and tight, and all of the toms deliver a clear tone. The bass drum does require a pillow inside to muffle the ringing overtones, but sounds decent nonetheless. The hardware is strong and durable, and allows for optimal and easy to reach playing for children. The hi-hat cymbals sound okay, but the crash cymbal is not the best within the junior drum set category. Overall this Ddrum D1 Junior drum set is fun to play and sounds good, and it’s well built to last many years of enjoyable drumming for children. The drums are easy to tune and despite its tiny sizes, it functions just like a full sized drum kit! This junior drum set is a well-made and all-inclusive package, which offers great value for money. This drum set is perfect for children aged 3-8 and it will stand up well to countless hours of playing. The GP Percussion Junior Set makes for an excellent toddler drum set, yet will still be fully functional for children up to the age of 8. Around this age a child will hopefully show enough interest in the drums that you might look to invest in a full size drum set to help further a child’s musical journey. This package is a great set of drums for kids, featuring genuine wood shells that sound open and resonant when tuned up correctly, and hardware that is easy to use for children and is durable enough to withstand lots of bashing about! This drum set is really easy to put together, and will have your child enjoying playing the drums in no time! This drum set is constructed from well-made components, and it’s one of the best kids drum sets for under $200. Buying a drum set for your child is a fantastic opportunity for them to explore their untapped creativity and to learn essential skills! Drumming is incredibly rewarding and fun, and offers a huge number of benefits for young children. Drumming is not only great fun, but it is also scientifically proven to boost brainpower and develop coordination in young children. Drumming utilizes all four limbs in order to play the whole drum set, developing motor skills, rhythm and timekeeping. Drumming also provides the framework for children to develop necessary social skills such as communication, sharing and listening. Buying the right kids drum set will ensure that your child has the opportunity to enjoy playing the drums hassle free and without any equipment issues or breaking. There are lots of very cheap and tempting drum sets for kids available online, but most of these are poorly made toys and will either break quickly or don’t fulfill their purpose of a drum set. All of the junior drum sets featured in this product guide are fully functioning kids drum sets that are designed to withstand lots of bashing and to be easy and fun to play. What’s Included In A Kids Drum Set? Is A Kids Drum Set Easy To Set Up? Kids drum sets are easy to set up and all of the components will generally be shipped in one large box. All of the drum sets in this guide will include setup instructions or potentially a DVD. This is a picture of what all of the components will look like together out of the box. 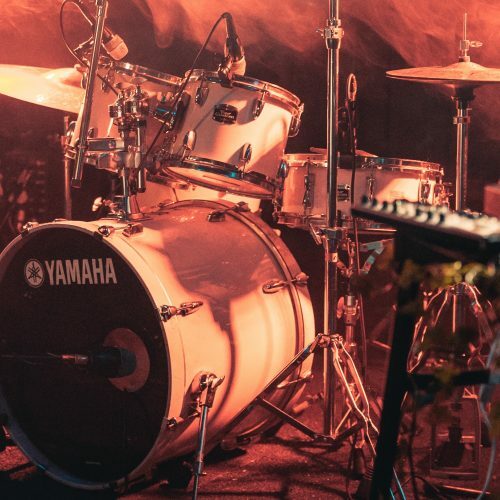 To set it all up should not take longer than one or two hours, but the drums will also require tuning with the provided drum key to sound as good as possible. How Important Is Sound For A Kids Drum Set? Because children are not the most discerning listeners, the drum sounds might not be that important to them. However, how good a drum set sounds will matter more over time, and it will also matter for your sanity as parents! 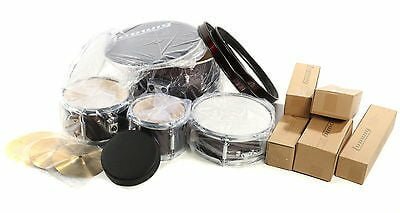 The provided drumheads with kids drum sets are not of a good quality, but they can sound acceptable with good tuning and dampening. I would strongly recommend placing an old towel or pillow inside the bass drum to give it a more punchy and focused sound. You can do this by removing the resonant bass drum skin with the drum key provided. How good a kids drum set sounds is going to be reflective of its build quality and also its durability. The reasons why a kids drum set might sound bad will be because of poorly crafted shells, with uneven lugs and malformed bearing edges. The best sounding junior drum set by far is the Ludwig Questlove Pocket Kit, which is far superior to its rivals in terms of sound as well as design and functionality. The quality of this drum set is like a smaller sized adult drum set! What Is Important For Kids? For kids the most important thing is to simply be able to experiment and have fun bashing away on the drums! Drumming is incredibly satisfying; it is expressive as well as being great fun! Kids drum sets should be comfortable to play, and all of the hardware should be fully adjustable to allow easy to reach playing for children. All the components should be fit for their required purpose within the drum set. What Ages Are Kids Drums Sets For? Most junior drum sets are advertised to be suitable for children aged 3-8 years old. All of the drum kits on this list are suitable toddler drum sets that will still function suitably through up to the later years. The optimal age for most kids drum sets is between the ages of 4-7. The Gammon Junior Drum Set is the best value kids drum set on the market and is suitable for children aged 3 and over. The Ludwig Questlove Pocket Kit is the best drum set for a 5 year old, and will last up until around 10 years old. If you are looking for a drum set for a 10 year old then I would suggest you check out my top recommended full size beginner drum sets! At What Age Should My Child Begin Drum Lessons? 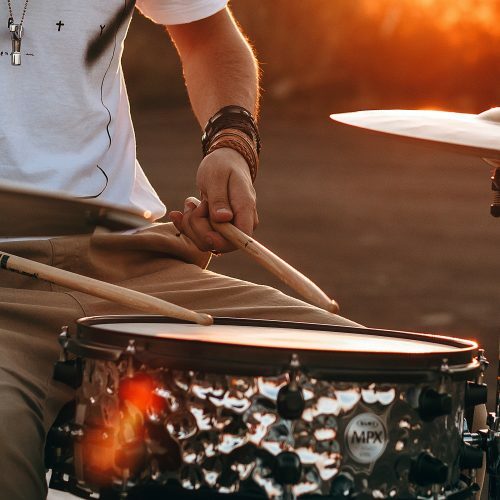 Children can begin having drum lessons from any age, but it is important to remember that older children will receive more out of drum lessons than a toddler. There are children from as young as 3 or 4 that possess excellent rhythm and you can watch videos online of young prodigies playing the drums showing enormous promise. But most children will not yet possess the ability or willingness to practice at such a young age. I would advise that aged 7 or older is the best age to begin learning the drums with a professional drum tutor, and children of this age will get far more out lessons than younger children. Generally speaking, children of 7 and older will have the cognitive ability to retain, process and learn information more so than younger children. And older children will have the emotional intelligence to be disciplined with practice and to read sheet music.